Provide comfort for the family of Mrs. Geraldine Atkinson with a meaningful gesture of sympathy. 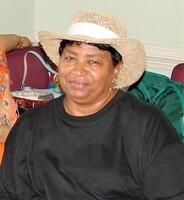 It is with a sorrowful heart that we the Staff & Management of Serenity Memorial Funeral Home has the solemn duty to advise all of the earthly departure of Mrs. Geraldine Summers Atkinson, 72, of Saulston, NC. Geraldine Summers Atkinson was born September 7, 1946, to the late Preston and Ruth Virginia Reid Summers. She departed this earthly life and joined her heavenly father on January 22, 2019. Gerald, as she was affectionately called by her family and friend, was additionally preceded in death by her loving husband of 54 years Raymond Atkinson one sister Christine Summers Cox, 2 brothers Jimmie Randolph and Michael Summers. Gerald attended Wayne County Schools and graduated from Dillard High School. She retired from Cherry Hospital. Gerald was a devoted and loving wife for 54 years, mother, grandmother, sister, cousin and friend to all that she knew. She had a quiet and sweet disposition and a big heart. She had a passion for sports and attended many games of her daughter, grandson, and granddaughter. Gerald leaves to cherish her memories one daughter, Donna Atkinson (Maxine) of Richmond VA; one son, Raymond Atkinson, Jr. (Angie) of Pikeville, four grandchildren, Corry, Colton and Kylie-Ray Atkinson of Pikeville and Demarco Edmonds of Richmond, VA: Four sisters, Carolyn Summers-Smith of Hampton, VA, Joyce Summers-Smith (Tony) of Goldsboro, Bernice Summers Kendall (Michael) of Raleigh and Lisa Summers of Goldsboro Three Brothers, Billy Randolph of Tampa, FL, James Henry Summers of Raleigh and Bobby Summers (Beverly) of Lagrange. Two sisters in law, Mary Atkinson Edwards (Herman) and Sarah Atkinson Frazier (David) of Saulston One Aunt – Lillie Mae Reid of Goldsboro and One Uncle, Lonnie Russell of Goldsboro and a host of nieces, nephews, other relatives, and friends. 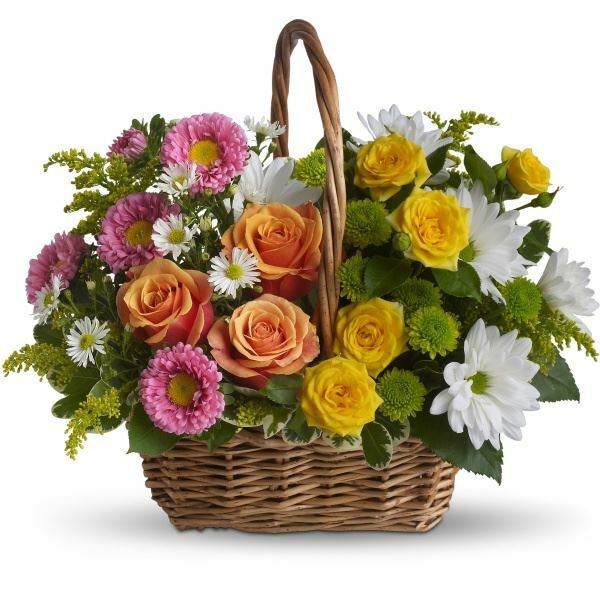 To send flowers in memory of Mrs. Geraldine Atkinson (Summers), please visit our Heartfelt Sympathies Store. We encourage you to share your most beloved memories of Mrs. Geraldine here, so that the family and other loved ones can always see it. You can upload cherished photographs, or share your favorite stories, and can even comment on those shared by others. Harris, Dupree,Williams, Jones, Fells, Roots, Wood sent flowers to the family of Mrs. Geraldine Atkinson (Summers). Donna, May you be comforted by the outpouring of love surrounding you. We are here for you - Our Sister-Friend. We Love U. We Got U.
Harris, Dupree,Williams, Jones, Fells, Roots, Wood purchased flowers for the family of Mrs. Geraldine Atkinson . I am sorry for your loss. Continue to let your fond memories of Geraldine warm your hearts. Always remember that God cares for you and is “close to the broken-hearted.” May you call on Him in prayer for comfort and strength during this difficult time. Psalm 34: 18. My deepest sympathy to the Atkinson family and friends. Death was not a part of God's original purpose for mankind. According to Ecclesiastes 3:11 he "put eteternity" in our hearts. You can be assured that his purpose will be carried out. For he has promised to make all things new, sickness and death will be eliminated and will never come to mind again. Revelation 21:3,4 May these promises prove to be a source of comfort when it's greatly needed. My sincere condolences to the family and friends of Mrs. Geraldine Atkinson. I feel your pains and sadness but God feels it more , that is why he has promise to remove death forever. May God's promise and words bring you comfort. Revelation 21:4-5.